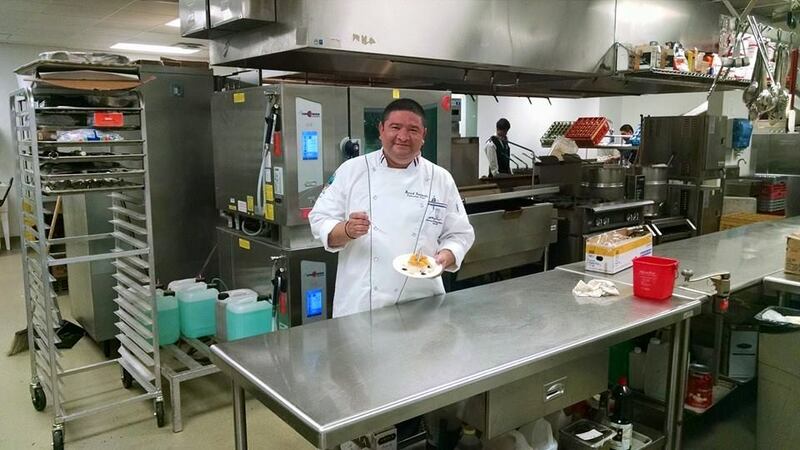 Plano Centre Executive Chef, Bismark Quintanilla, had the distinct privilege to cook at the 79th Masters Tournament in Augusta, Georgia April 6-12. Certified Executive Chef for the Augusta Country Club, Marvin Herrera, personally chose Bismark to be a part of his team for The Masters. Plano Centre’s Chef was mainly responsible for cooking for The Golf Channel lunches and dinners throughout the course of the tournament, as well as other lunches and dinners for Sports Australia, Fox Sports, the American Golf Association, and Japanese delegates. Chef Quintanilla’s favorite dish he prepared was an appetizer called “Two Mustard Crab Salad” made with honey mustard and chipotle mustard served in a martini glass with two large potato chips.